Google has presented a 72-qubit quantum processor at the American Physical Society’s annual meeting in Los Angeles. The company hopes that ‘Bristlecone’ could be used to achieve quantum supremacy - that is, being able to outperform a classical supercomputer on a well-defined computer science problem - but admits that much work still remains. “Although no one has achieved this goal yet, we calculate quantum supremacy can be comfortably demonstrated with 49 qubits, a circuit depth exceeding 40, and a two-qubit error below 0.5 percent,” Julian Kelly, research scientist at Google’s Quantum AI Lab, said in a blog post. Google has a working processor with more than 49 qubits, but the company has yet to achieve such low error rates at scale. Previously, it was able to demonstrate “low error rates for readout (1 percent), single-qubit gates (0.1 percent) and most importantly two-qubit gates (0.6 percent)” on its 9-qubit processor. 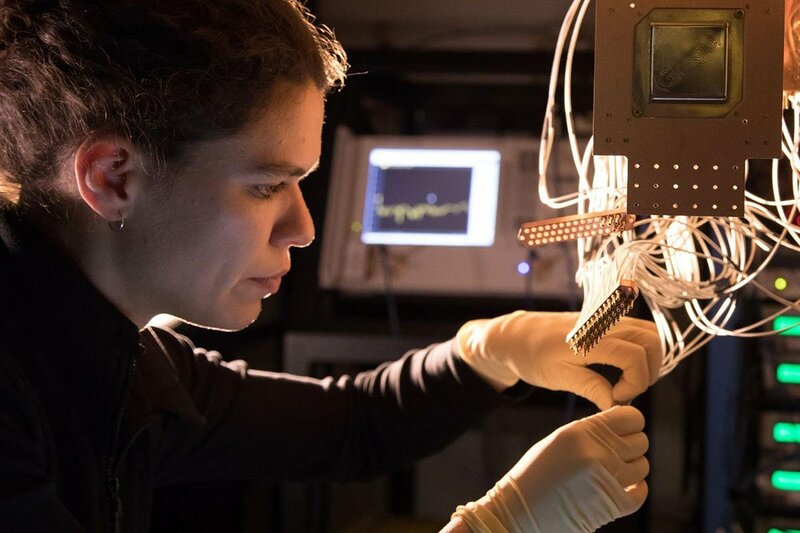 “We are looking to achieve similar performance to the best error rates of the 9-qubit device, but now across all 72-qubits of Bristlecone,” Kelly said. Google’s closest competitor in this space is IBM, which offers access to a 20-qubit system through a cloud service and is testing a 50-qubit machine. Earlier this month, Alibaba began offering access to an 11-qubit system. Microsoft, meanwhile, has taken a different approach, and is researching topological quantum computers.